Amazon HALL OF FAME Top 100 Reviewer Grady Harp wrote: “ Washington DC author Steven M. Roth earned a bachelor's degree in philosophy and history from Pennsylvania State University and a law degree from Duke Law School. He is retired from private law practice. Steve has published five novels to date – the Socrates Cheng mysteries: MANDARIN YELLOW, THE MOURNING WOMAN, and THE COUNTERFEIT TWIN, and the Trace Austin suspense thrillers: NO SAFE PLACE and NO PLACE TO HIDE. 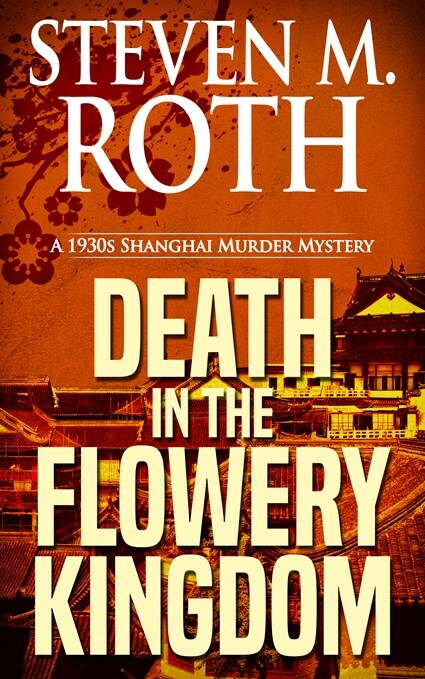 Now he opens a new series – The 1930s Shanghai mysteries of which DEATH IN THE FLOWERY KINGDOM is the first novel. His presence in Washington, DC and his experience as a lawyer serve him well in sculpting tense, beautifully nuanced novels that blend international politics, the military, and of course crime! When an author is able to strike a chord of fear with the opening lines, then the reader can be assured the designated genre of ‘suspense novel’ is correct. Steve does this with direct ease – 'I am called Sun-jin. My full name, to be accurate, is Ling Sun-jin. I am the second-oldest brother of five sons, and am older than our two sisters, who are the youngest siblings in our Ling clan of seven children. I was standing alone in a thicket of rare huanghuali trees, close by the Garden Bridge, near the place where the muddy Whangpoo River and Soochow Creek come together after flowing past the Bund and the Public Garden.... I am, as I said, a plainclothes inspector detective with the city’s police agency whose jurisdiction oversees law enforcement in the combined British and American territory known as the International Settlement. The year 1935 is a time in our city’s history when crime in Shanghai is so unrestrained and so violent that no sane constable- patrolman ever goes out alone after dark to patrol his beat. Nevertheless, as an inspector detective, in spite of the inherent danger in our city, I prefer to work alone, without a partner to encumber me. And we’re off and running and that pace is sustained throughout this fine book. 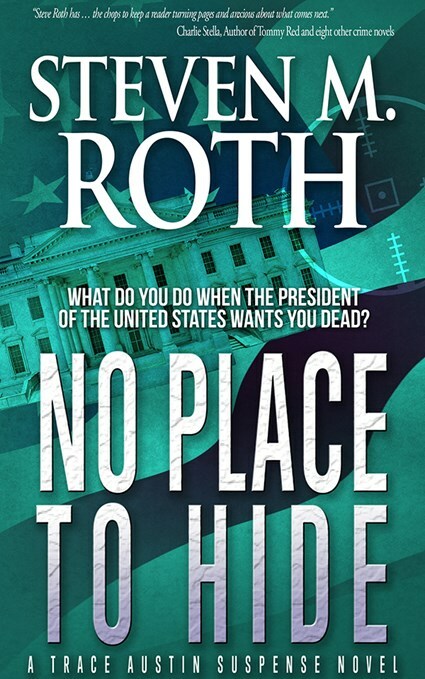 Amazon HALL OF FAME Top 100 Reviewer Grady Harp wrote: “ NO PLACE TO HIDE is a tense, beautifully sculpted novel that blends international politics, the military, and of course crime. When an author is able to strike a chord of fear with the opening lines, the reader can be assured the designated genre of ‘suspense novel’ is correct. Steve does this with direct ease.
. . . .And [after this opening] we’re off and running and that [fast, tense] pace is sustained throughout this fine book. . . . . Reading this second installment of the Trace Austin series develops a need to read the entire series — and that is a solid sign that Steven M. Roth is a novelist of significance. Mr. Roth, Mr. Roth.............Why do you do this to me? I came home from work one night intending to read a few chapters to relax. The next thing I knew it was 1 AM and I had unwittingly gobbled the whole book. The plot premises are fantastic, and plausible at the same time. . . . . This was great fun to read, and I don`t even regret the loss of an evening to do so. Please sir, may I have another? I particularly enjoyed this latest Socrates Cheng mystery because of its somewhat outrageous premise, introduced in the first chapter. Steven Roth grabbed my attention from the outset and kept my interest through to the conclusion. 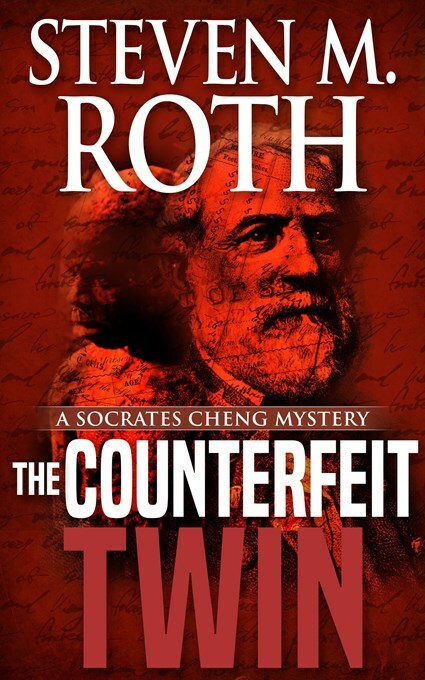 Author Steven Roth’s third in the series of Socrates Cheng mysteries is an intriguing, fast paced murder mystery that grabs and holds the reader’s attention from the very first chapter. 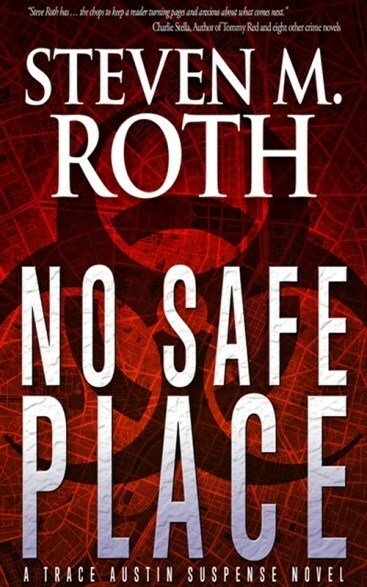 Steven Roth has written a terrifyingly real bioweapon suspense novel. He has the chops to keep a reader turning pages and anxious about what comes next. No Safe Place alerts us to what the government has done and may still be doing to an unsuspecting and unconcerned public. Highly recommended. A splendidly told and sophisticated tale by a first-time novelist. The multi-layered murder mystery not only remains engaging throughout, but also offers the reader a superb primer on Chinese culture and history, particularly post-World War II history. If you’re a mystery fan, you shouldn’t miss this novel that features a Parker Duofold (the eponymous Mandarin Yellow). This is prime mystery: well plotted and compellingly written. Roth weaves a taut storyline, paces it perfectly, and wraps it in twists and turns that make no sense until you get to the end (when everything clicks perfectly into place). Along the way, he slips in all the clues you need to solve the mystery right along with hero Socrates Cheng. There are never enough five star mysteries out there for a dedicated reader like myself. 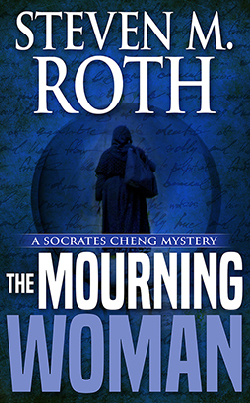 Steven Roth has now written another in his Socrates Cheng private investigator series called, "The Mourning Woman." His first was, "Mandarin Yellow," which I thought outstanding. Both have fascinating, complicated plots involving a mix of Chinese and Greek cultures. Roth's extensive credentials in the study of these groups has provided him with a unique perspective that fits perfectly with the genre of intrigue, historical vendetta, and motives unlikely to be uncovered easily by a typical American detective. 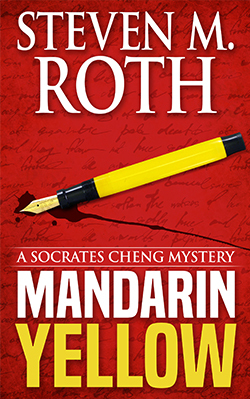 The Mourning Woman, the second in the series of Socrates Cheng mystery novels, is an intelligent and engrossing murder mystery that is stylish, well-crafted, and every bit as satisfying as Steven M. Roth's debut Cheng mystery, Mandarin Yellow. Roth is a great storyteller. I look forward to the third installment of the series.